On November 6th, Super Junior held a celebratory mini-concert at the Korea University Gymnasium with their official fanclub, as a way to officially mark five successful years since their Inkigayo debut back in 2005. Yet it wasn’t just Super Junior and their Korean fans who were celebrating this day – fans from all around the world came together to complete one of the most meaningful projects K-pop has ever witnessed, by compiling fan letters to Super Junior in 30 different languages. According to the founder and manager of this project, SuJu-Global-Elfs.com, the link to the project blog received over 5,000 views in 83 different countries. Amazingly, the site managed to attract this many visitors in the span of just 12 hours! The project managed to write fan letters in Korean, English, Arabic, Chinese, Russian, Japanese, Thai, Turkish, Norwegian, Czech, Bulgarian, Hungarian, Greek, Romanian, Polish, Dutch, Swedish, Portuguese, Spanish, French, Italian, German, Somali, Flipino/Tagalog, Indonesian, Malay, Vietnamese, Hindi, Tamil, and Mongolian. Thank you for being one of the greatest things in our lives. You are not a mere boy band, a simple crush, or an impersonate idol. You are 13 young men who, through true spirits and good hearts, have united thousands of people. You have entertained and inspired us through your hard work and talents. Yet most importantly, you have taught us valuable life lessons. We learned from you that dreams are vaster than state boarders. And that positive spirit is the key to all challenges. You showed us that we must work hard for what we love and protect and stand for whom we love. We learned from you that being a humble dork is much more charming than being a stuck-up jerk. You taught us that spontaneity is a gift not a defect and that you will always grow old, but not necessarily grow up. And that life is sweet but never easy. And that with all these virtues, we can all change the world. We just wanted to let you know that you did change the world. You are more than music idols, or entertainers, you are heroes, for you have positively changed the lives of many. We want to always be guided by you. You do not need a catchy song to steal our hearts; your smiles have already done that. You have always touched our lives and hearts, and we wish day and night to be able to do the same for you. We wish that every year you would feel closer to us, and feel our unwavering admiration and love for you. Please always know that you succeeded in the past few years and that in every world corner you have an ELF to witness that. We will stand united for you and for the many years of success to come, not just in your career, but mostly in your life. You can check out the letters in the 30 different languages here. despite voices worrying whether if they really could. 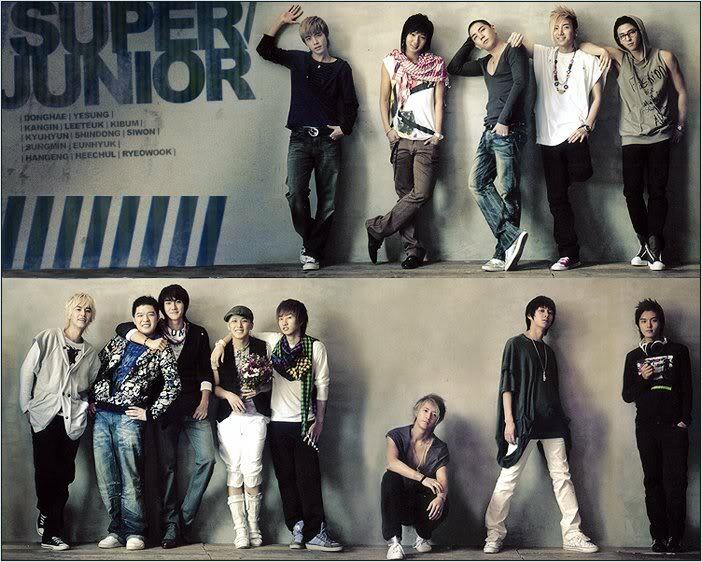 Congratulations to Super Junior on their 5th anniversary!